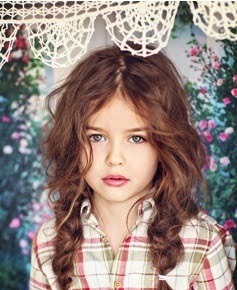 Two very beautiful hairstyles for little girls with long hair. These area two girls beautiful hairstyles for long hair for little girls, are modern, pretty, very easy to do casual hairstyles. The first hairstyle is to make a line in the middle of the head, make two loose braids and bringing forward of the shoulders, set with two pigtails. 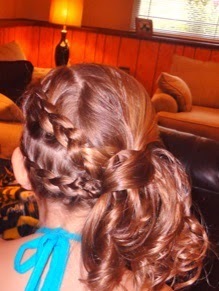 The second hairstyle is to make two braids, which take the subject back and making a ponytail. The girls look very cute and casual with these hairstyles.